October 10, 2016 – On Thursday, October 6, the Hawaiʻi State Supreme Court affirmed the Conservation District Use Permit for the construction of the Daniel K. Inouye Solar Telescope (DKIST) on Haleakalā, Maui. The rulings in favor of the University of Hawaii and the Hawaii Department of Land and Natural Resources recognized both the DKIST project’s careful compliance with the law as well as the important service the facility will provide to society through its scientific mission. DKIST will revolutionize the future of solar-physics data. The telescope will be the largest, highest-resolution solar telescope in the world. Haleakalā was originally selected from over 70 sites from around the world. 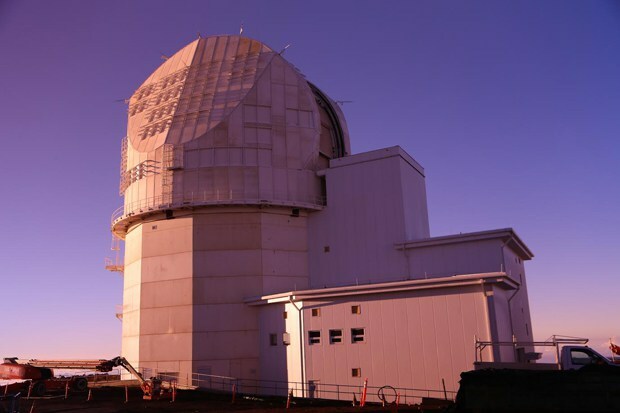 The unsurpassed quality of the sky above the summit, coupled with the cutting edge technology of the telescope and its scientific instruments means that DKIST will allow astronomers to glean new insights into the Sun and discover how our nearest star works. This information about the Sun and its effects on Earth will serve to protect the local and global environment. “Scientists will be able to see more clearly into the heart of sunspots, flares and other solar activity,” said Günther Hasinger, Director, UH Mānoa Institute for Astronomy. “New understandings of how the sun works, such as learning to predict solar storms, is vital to protect space-based assets such as communication and weather satellites and earth-based assets such as our power grids. The National Solar Observatory (NSO) recently relocated its headquarters to Boulder, Colorado, in anticipation of DKIST’s completion. The DKIST data center and the majority of data processing will happen on-site at NSO headquarters. Boulder has a long history of solar observation that dates back to the 1940’s and offers a robust university community, as well as a host of national laboratories that will serve as potential collaborators with the NSO, including the National Oceanic and Atmospheric Administration (NOAA), the National Center for Atmospheric Research (NCAR) and the National Institute of Standards and Technology (NIST). The NSO move will provide major research opportunities for both graduate and undergraduate students at the University of Colorado Boulder, particularly once DKIST is completed. The vertical, external construction of the $340-million telescope is already complete. The remaining work is internal and the project is on budget and on track to be operational in 2019. DKIST has an open data policy, which will enable community users to freely and openly access all of the available data. Proposals for experiments may be submitted from any individual or organization. The Daniel K. Inouye Solar Telescope is named in memory of the Hawaiian senator in honor of his commitment to scientific education and research. The National Science Foundation (NSF) funds DKIST through a cooperative agreement with the Association of Universities for Research in Astronomy (AURA).